From spring cleaning to deep cleaning, the team at Stafford Pressure Washing has long been the top choice for residential pressure washing in Stafford, VA. Our team has worked on homes, sidewalks and driveways, and no matter the surface, our team will be able to clean it. With more than a decade of experience, we have seen and cleaned it all. 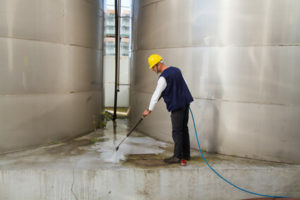 From commercial kitchens to storefronts, our pressure washing services will be able to make sure your space is a welcoming site for customers, staff and potential clients. Here at Stafford Pressure Washing, the dirtier the object, the better the job! Our team has been working with the hard-working men and women of this town for years, and no matter the job, we can handle it. We have done everything from large equipment cleans to full factory cleans, and they are truly some of our favorite jobs! Call us today, and see how Stafford Pressure Washing can help you out of a dirty situation today!